Just three days after the last race, we're turning our attention to Sepang for the second Grand Prix of the 2012 season. With a mixed up qualifying order in Australia leading to a race result that wasn't all that extraordinary, what can Malaysia offer up? Incredible heat and troublesome humidity will be the big challenges facing our drivers this weekend, as they do battle with the elements to try and take victory in Sepang. Jenson Button jumped his teammate off the start line of the Australian Grand Prix, and secured himself a very nice victory to take an early lead in the championship. Mercedes showed good pace but had a difficult afternoon on track, whilst Sauber proved their unusual strategy calls were not just a one-season things. For the race ahead, we're looking to see if Ferrari can make any headway with what appears to be a very unstable car, and if Williams can turn their improved pace into better results. Support racing for this event includes Malaysian Super Series and GP2. The long range weather forecasts suggest rainy showers, plus the possibility of thunderstorms, which isn't much of a surprise when it comes to racing in Malaysia. The daily downpours can play havoc with Formula One schedules, and expect to see little running if one hits at the wrong time. Hopefully, the weather will be enough to make things interesting, but not so much as to ruin the show. Double DRS didn't seem to have much of an effect in Australia, and for the Malaysian Grand Prix, the FIA have gone back to just the single DRS zone. The activation area matches last year, and I don't recall it being a particularly good or bad thing in 2011. Little controversy for the second race of the year can only be a good thing. Sepang will see the cars run with high downforce settings as the track is littered with tricky corners. 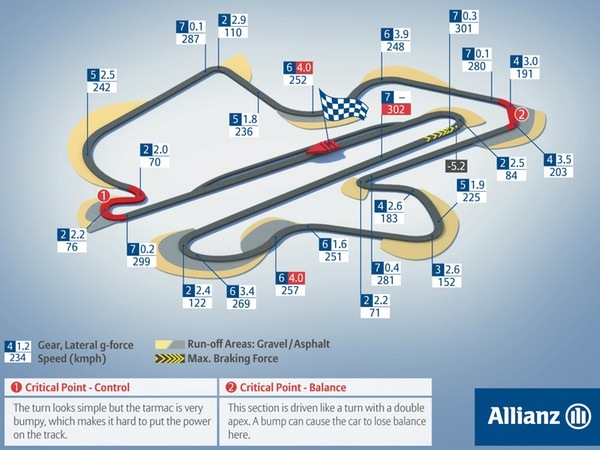 Two long straights, joined by the famous hairpin, are the only real respite from the twists and turns of the 5.5km lap. Drivers will run on full throttle for 65% of the lap, and keeping the cars running smoothly - and cool - in the humid conditions will be key. Last year, the strategy chosen by most teams was a two stop, resulting in 59 pit stops completed. Will the record be beaten this year? 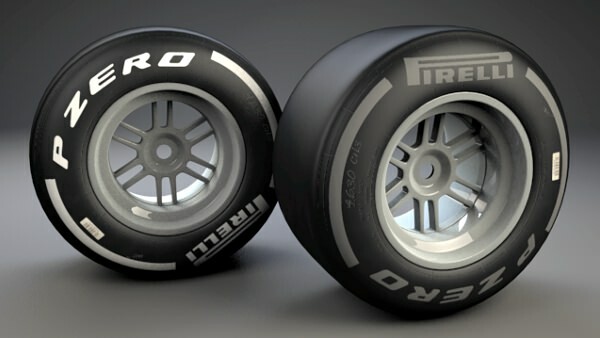 Pirelli did once say that they wouldn't run the medium and hard compounds together, particularly as the white and silver sidewalls will be hard to distinguish from each other. They've obviously forgotten that, as the compounds selected for this weekend will be just that one step apart. Malaysia is one of the biggest challenges that we will face all year, and that is simply down to the nature of the track and the weather. We can expect track temperatures of up to around 50 degrees centigrade and a similar performance gap between the two nominated compounds as we saw in Australia. Our target is still for that gap to be less than one second.